Fencing adds beauty and privacy to your home but still, many homeowners love to take this a notch higher. Even after the fence installation, you might be amongst those who look to turning their backyard into a place of complete peace, delight, and bliss. Well, pergolas are one of the few outdoor additions you will never go wrong with. 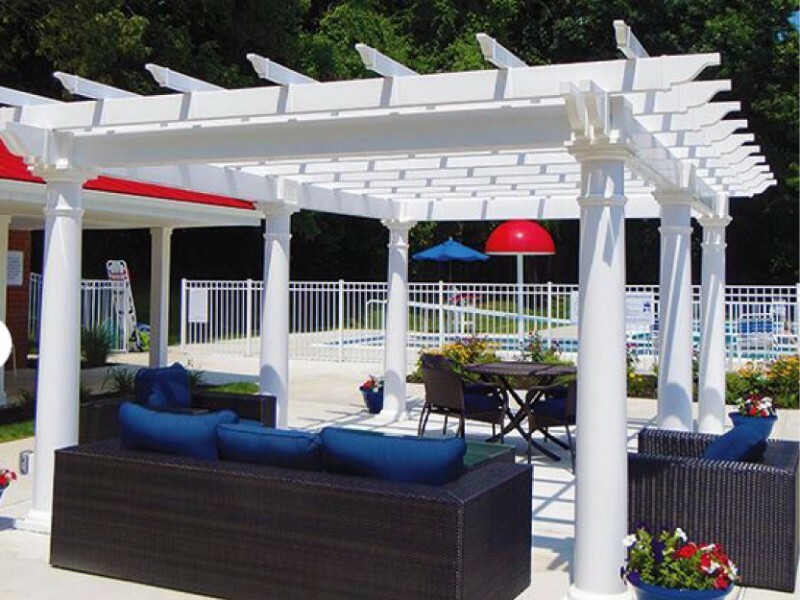 For those who’ve never heard of it, a pergola is an attractive garden feature that functions as a shaded passageway, walkway, patio canopies or a relaxing area, and it consists of vertical pillars or posts that often support a solid lattice or cross beams. More often, the lattices will support hanging vines or plants. If your outdoor area lacks enough trees, a pergola is an excellent choice as it still provides great shade. Soon after winter fades way, sunny and warm days usually accompany it and during this time you will want a nice place to relax, away from the scorching heat. Well, right inside the calming shade of a pergola is the best place you can take yourself. Size and location: First, identify how much space you are willing to dedicate to a pergola. Prices usually vary based on size. Location is also key because you will want your structure to take into account things such as the sun’s position and shade patterns. Shape: Pergolas also come in different shapes and deciding which shape is right for you will depend on the space you intend it to cover. Some feature extensions which you could adjust to fit different shapes. Materials: Pergolas are made using different materials and prices often vary based on the material used. Those that feature wood works tend to be relatively expensive compared to those that make are made out of cedar or vinyl or aluminum. Besides that, the choice of material also influences function and appearance. 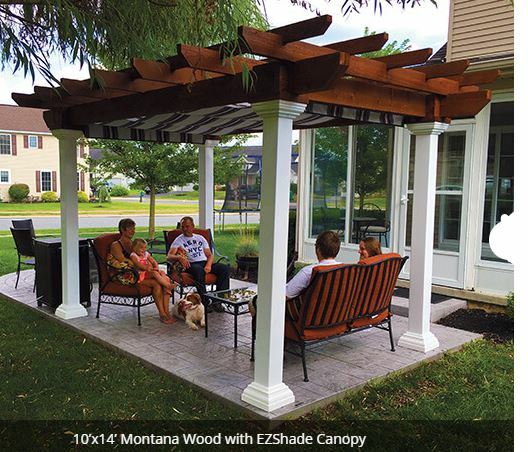 Shade: Your preference will guide you in deciding the amount of shade you will want your pergola to have. Some come with a lot of it while others just a little. However, you can boost the shading with the help of a vining vegetation. As we mentioned earlier, pergolas also serve different purposes and this is also part of the process of identifying the right pergola for your yard. You could get a standalone pergola, an entryway or walkway pergola. Building a pergola isn’t difficult but just like any other home-improvement task, it needs special skills and experience. If you would want to get one for yourself but require help in making a selection and installing it, we are ready to offer our help. Give us a call today.. and we’ll be glad to discuss how to make your garden home a reality.